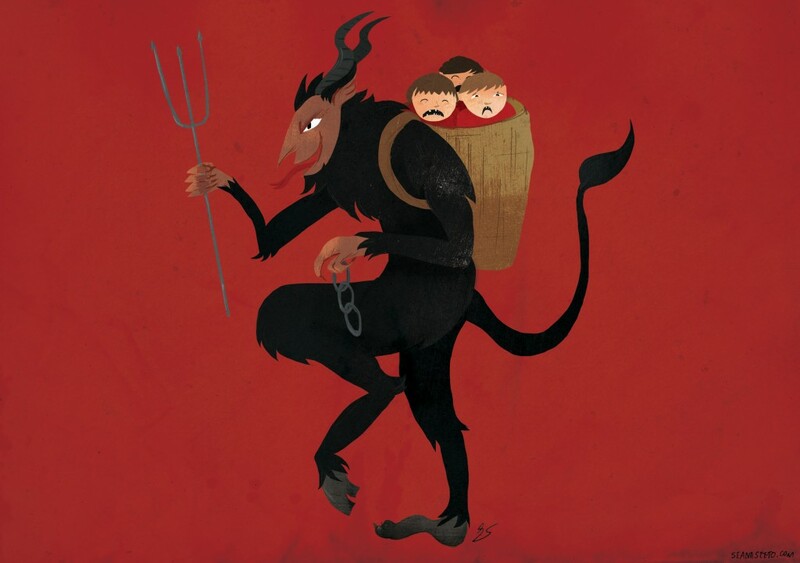 Home › Short Stories › Krampus lives on! Well Krampusnacht has passed, leaving this writer relieved that he’s done just the right amount of bad things to enjoy his year but not so many that the beast has carried him away into the snow. Here’s hoping Santa is as lenient. Whilst I was away for the Krampus launch itself, I’m reliably informed by the lovely Vicky Ponting that it was a fantastic night. No authors were harmed in the making of such tales, although some may have had sore heads the next day. Whilst missing the main event for the cold but baklava heavy delight of a holiday in Istanbul, I was delighted to see that our stories have gone up on the Leeds Big Bookend website in the meantime. If you wish to read my forked tongue in cheek piece, ‘Expectations’ you can do so here. Enjoy, and be thankful you’re safe from the beast… for at least one more year.